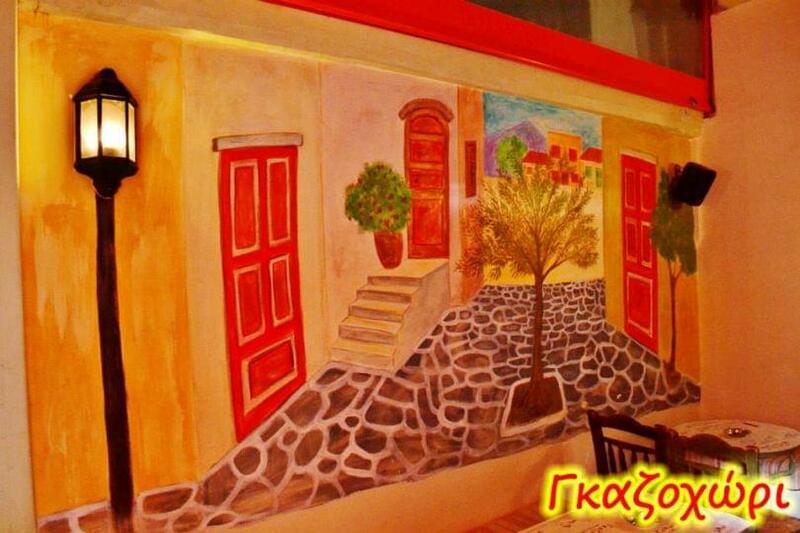 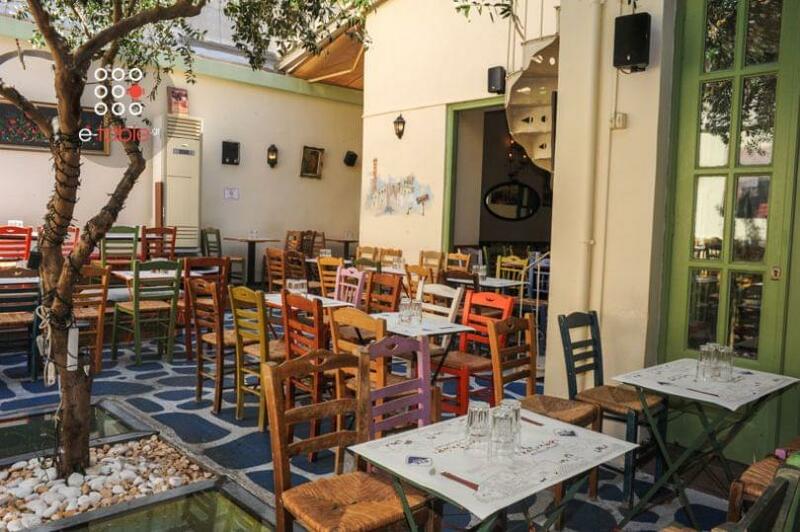 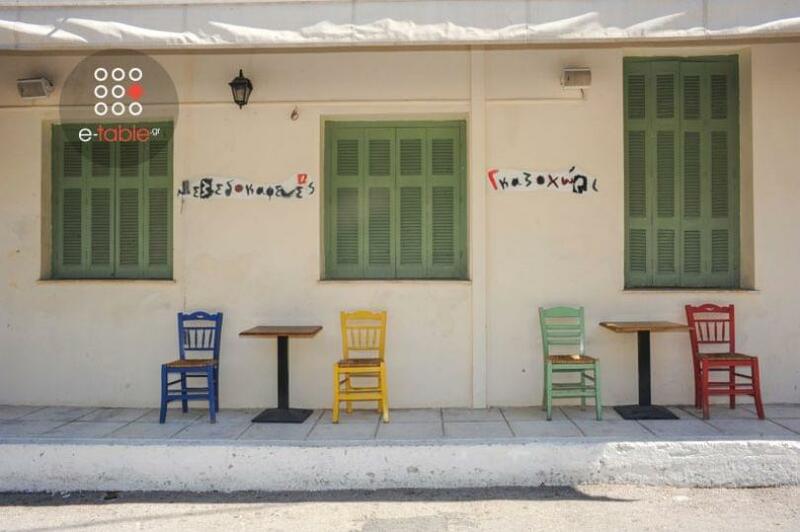 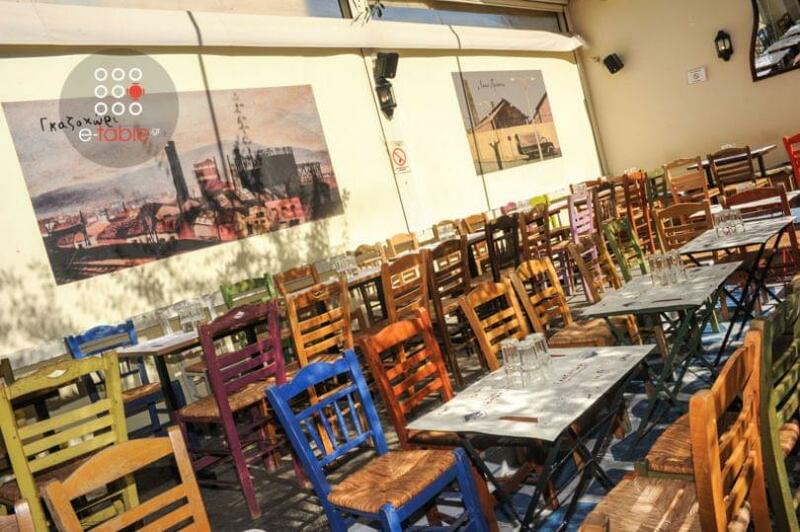 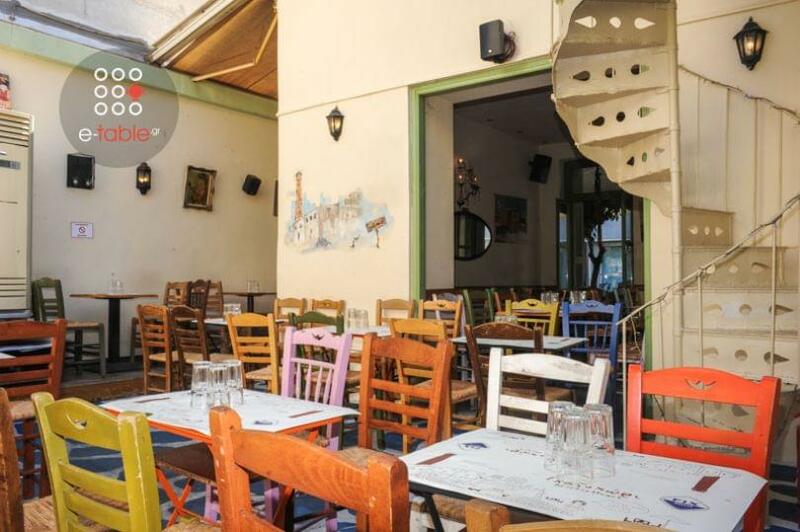 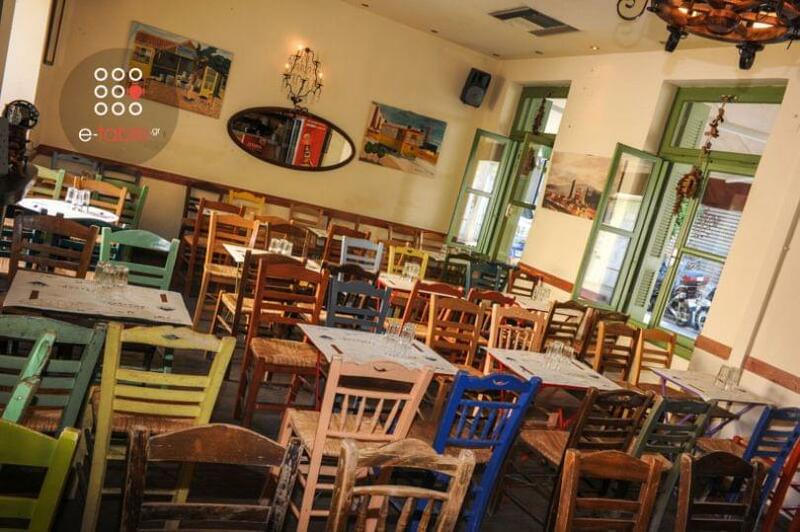 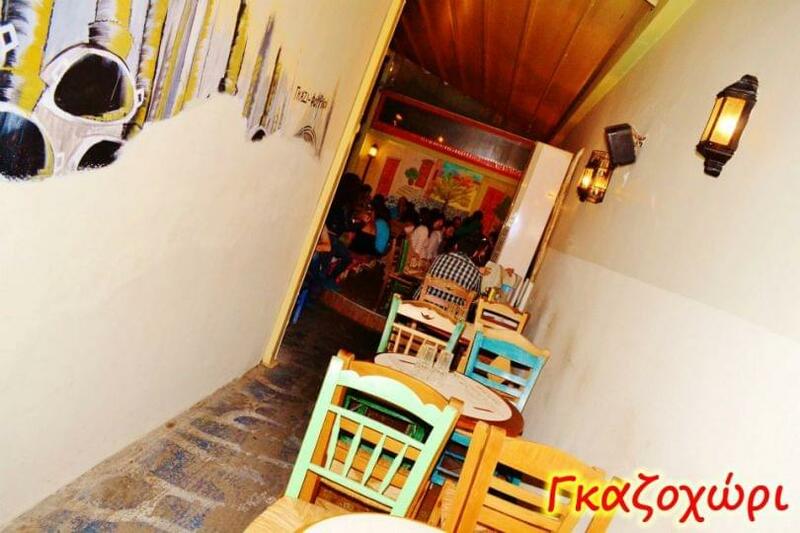 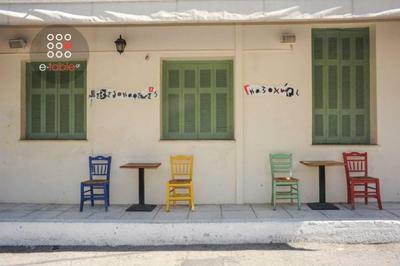 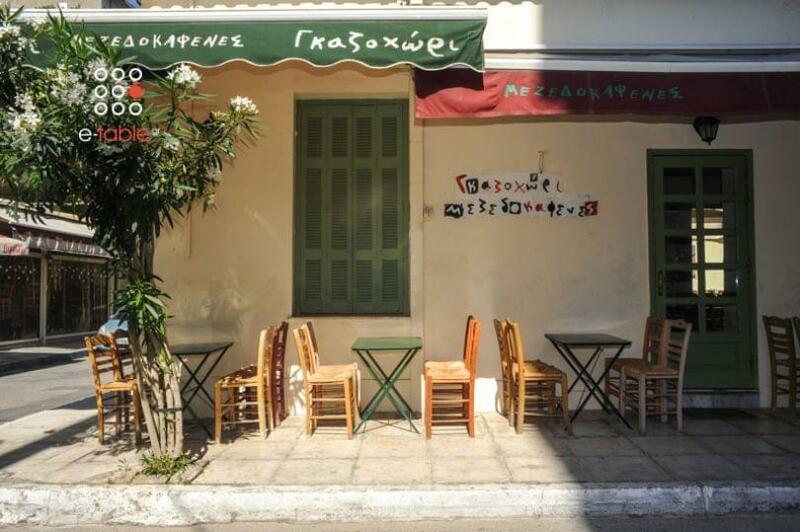 Gazochori in Gazi offers Greek cuisine and a wide variety of selected Greek delicacies. 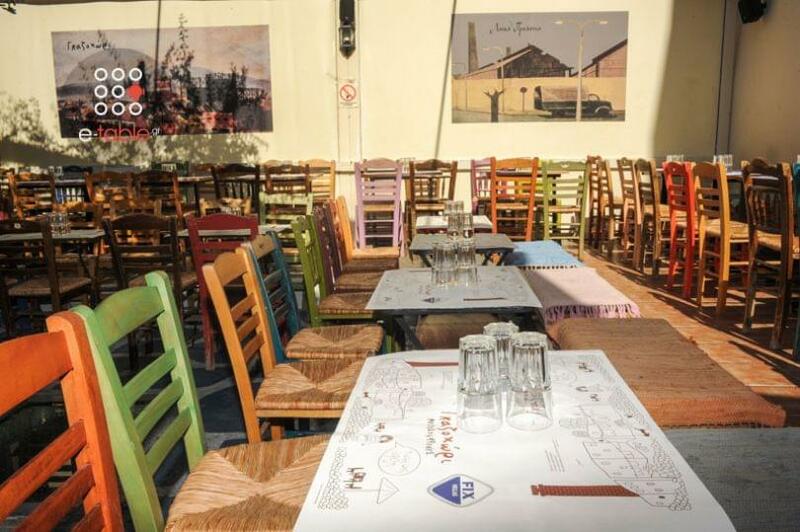 Along with a good raki and wine, it is the perfect, cozy restaurant in Gazi to enjoy greek "mezedes". The place consists of a large beautiful yard, decorated with colored wooden tables and chairs, tht remind of a traditional cafe. 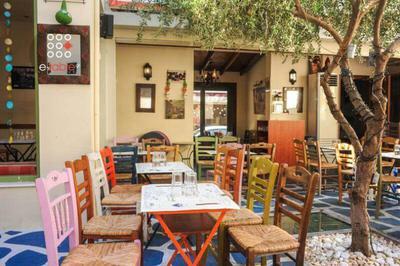 In the center lies an imposing tree which along with the murals of old neighborhoods of Athens hlep time to turn back... 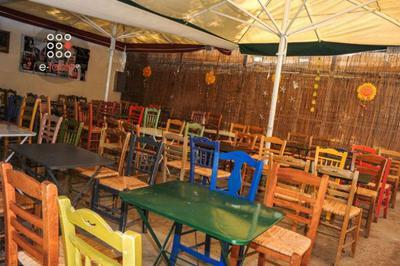 There is also an interior place for cold days. 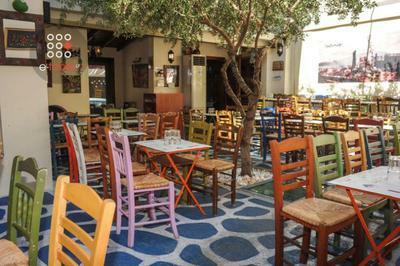 Customers are mainly students, who enjoy low prices and homemade food along with pure mulse, homemade wine and fine Greek spirits. 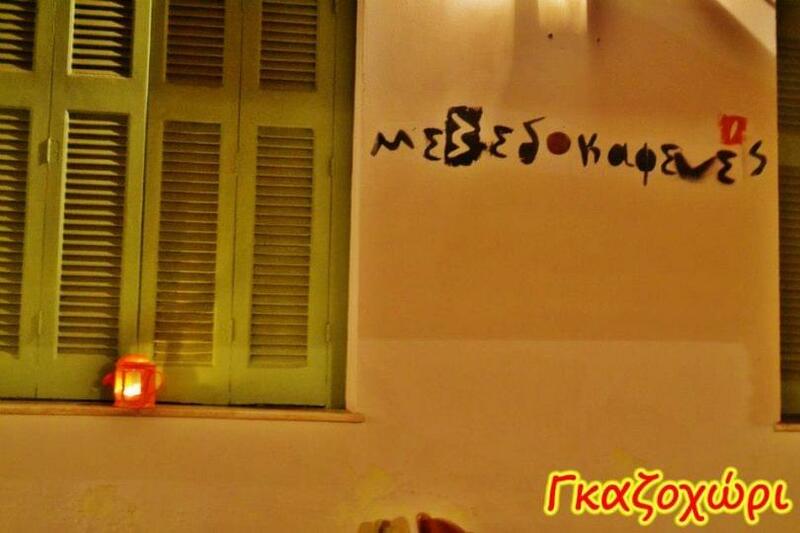 Traditional pasta named "makarounes", baked stuffed potato, Gazochori salad and recipes prepared daily, stand out from the menu. 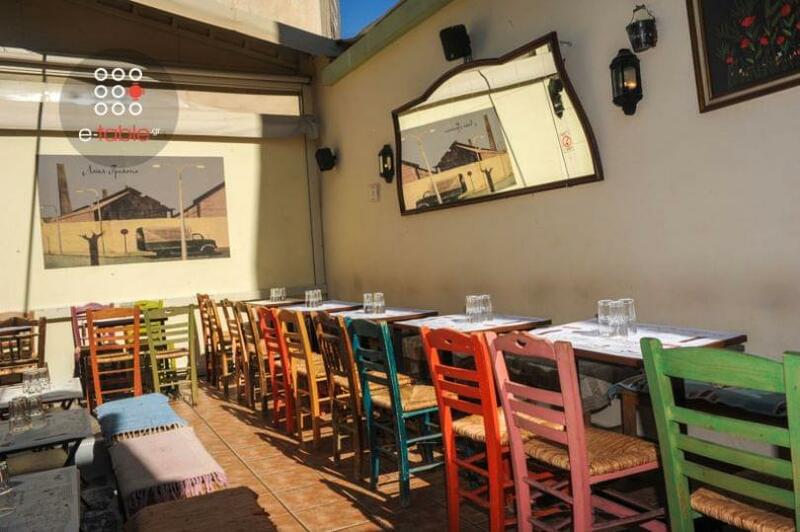 In Gazochori traditional cuisine meets new ideas, in an environment that combines both images and taste of old Athens with the modern reality! Live music every Tuesday and Thursdayfrom 21:00. 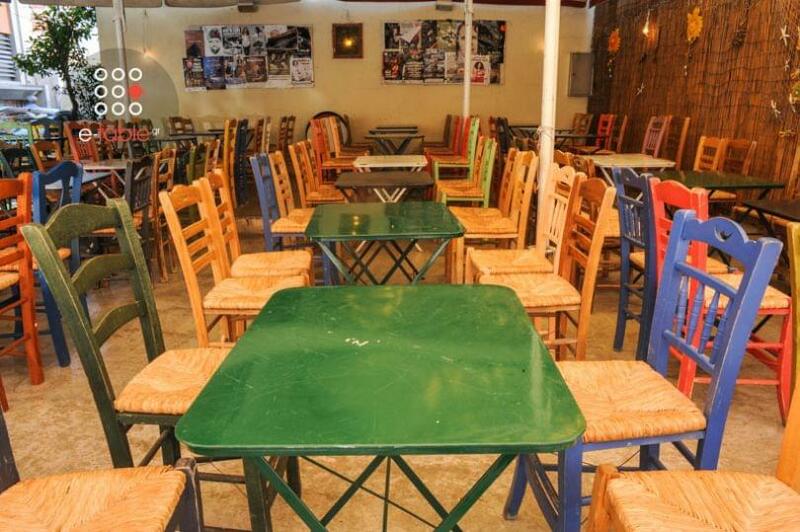 Reservations via e-table are valid for food and not exclusively for drinks, coffee, finger food or snacks.